Condition: The majority of our 45 ACP is large primer, with a minimal amount of small primer mixed in, as we do not sort by head stamp or primer size. Mixed head stamps and may contain both brass and nickel finish. 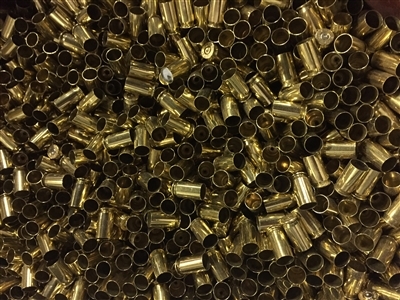 Brass cases are sorted, visually inspected, but not polished.